“Friday night will be an exciting environment for all involved,” described Cleveland football head coach Heath Ridenour. The Storm host Artesia this week. Here’s a look at some other key matchups in week 5. The Eagles posted 40-plus points in two of their three wins, including last week against Highland. The Panthers opened the season with a loss at Los Lunas and followed that with a pair of victories against St. Pius X and Valley, but they were upset last Friday at Kirtland Central 7-6. This is a matchup of number one teams in their respective classes. The Cardinals have scored 56 points in two of their four wins, including last week’s victory over Tularosa. “Our team is playing really well,” said Eunice head coach Ken Stevens. “We are excited for the opportunity to play and excellent team like Dexter. Traditionally, this has always been an intense, hard fought battle.” Dexter took down Hatch Valley last week 35-6. Eunice beat that same squad 25-9 a week earlier. The Bears have put up 43 points or more in their last three games. They have two solid skill players in quarterback Dylan Summer and running back D’Andre Williams. 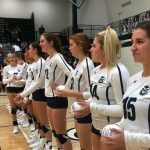 “I feel like our team is doing the things needed to win games,” said La Cueva head coach Brandon Back. “This week will be a little harder for us as we had some injuries over the last week that are going to play a huge role in our success on the field, but we have full confidence in the next man up and the plan we have in place for Friday night.” The Rams are still growing and coming off a 44-33 home loss to Las Cruces. This has the potential to be a very interesting matchup. 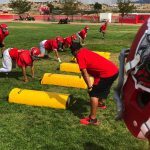 The Tigers took one on the chin last week losing at home to Roswell, 42-20, after wins against Piedra Vista, Alamogordo and Sandia. 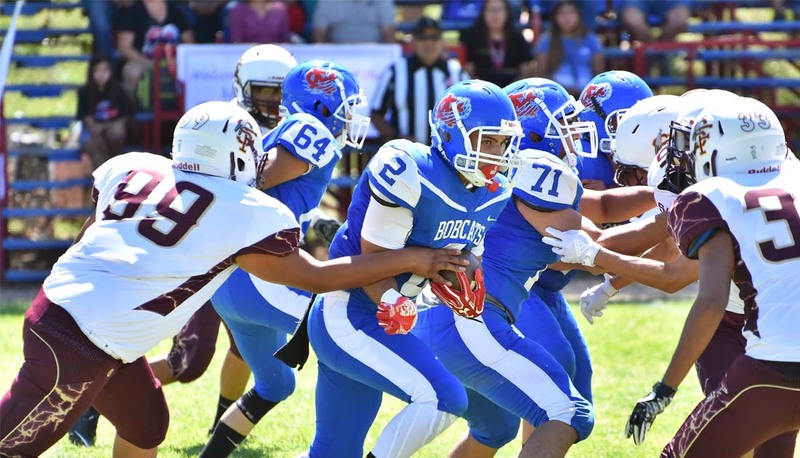 “We had a bad game as a team last week and are looking to rebound,” said Los Lunas head coach Jeremy Maupin. “Our goal is to get better each week and last week we took a step back. It’s a big challenge this week and will show a lot where our team is.” The Cougars are also coming off their first loss of the year falling to La Cueva, 43-14, last week. The Monarchs have gone through a challenging non-district schedule with losses to Las Cruces, Centennial and Volcano Vista. The same can be said for Mustangs’ first year head coach Anthony Ansotigue losing to Eldorado, Centennial and Mayfield. Each team’s only victory came against Rio Grande. The Trojans are still not their traditional dominant self. They’re coming off a 41-6 home loss to Cleveland last week. Carlsbad opened the year with a win over rival Artesia and could surprise some 6A teams this season. The storyline in this one is the Battle of the Bradley’s, Michael against Gary.